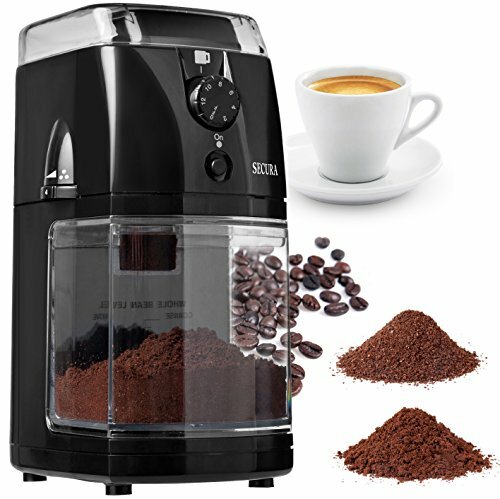 Burr grinding mechanism grinds uniformly and preserves natural aroma. Quantity selection from 2 to 12 cups; On/Off button; automatic shut off. Dimension 6” x 4” x 8.75”. 1-Year Manufacturers Limited Warranty. 120V, 110 Watt motor, ETL Approved Product.